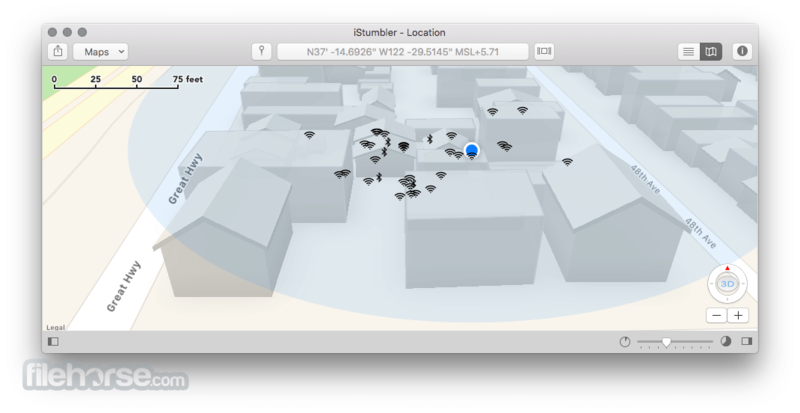 iStumbler for Mac is the leading wireless discovery tool for OS X, providing tools for finding AirPort networks, Bluetooth devices, Bonjour services, and your GPS Location with your Mac. Lists visible wireless networks with complete information. 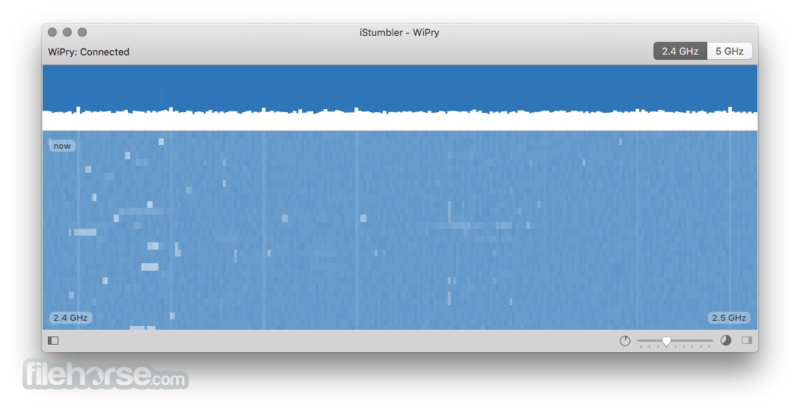 Timescale slider allows you to see: the last scan results, all networks iStumbler has ever seen, or anything in between. Inspector shows detailed information including a high-resolution graph, detailed properties and information about every sample. Graphically indicates network type and encryption status. Signal and noise graphed over time for all networks. Double click a network to open a connection monitor. Lists connected and discoverable Bluetooth devices with complete information. 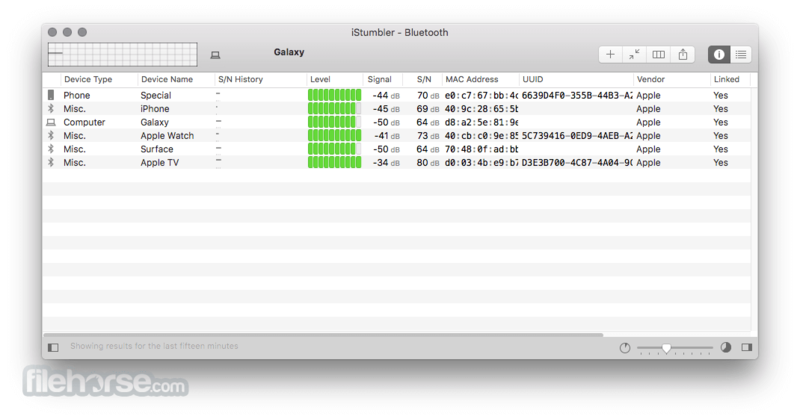 Toolbar buttons to Setup bluetooth devices, manually Pair with them, Browse or Send files. Inspector shows detailed information including services, detailed properties and information about every sample. Forward (by service type) and Reverse (by host name) Bonjour Service browsing. 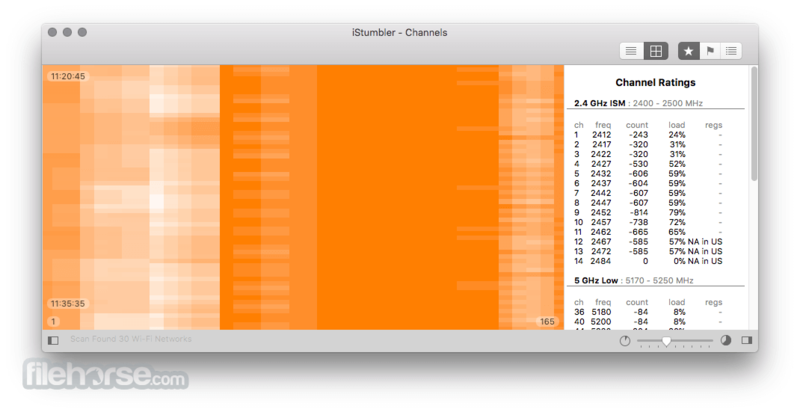 Inspector shows detailed information including network addresses and service keys. Support for wide-area Bonjour browsing: see you Back to My Mac services. View the location of discovered Wi-Fi networks. Optionally track the movement of your computer. Access web services related to the current location. Export location database and optional movement track to Google Earth. 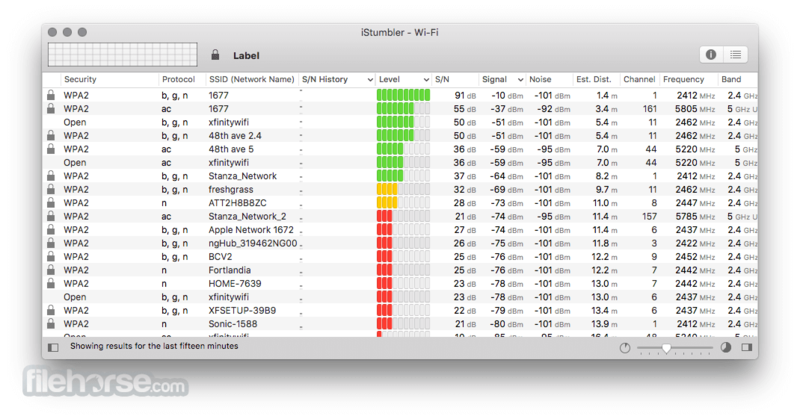 Output CSV logs of Wi-Fi Networks, Bluetooth Devices, Bonjour Services and Location information. Logs can be imported into a spreadsheet for detailed analysis.